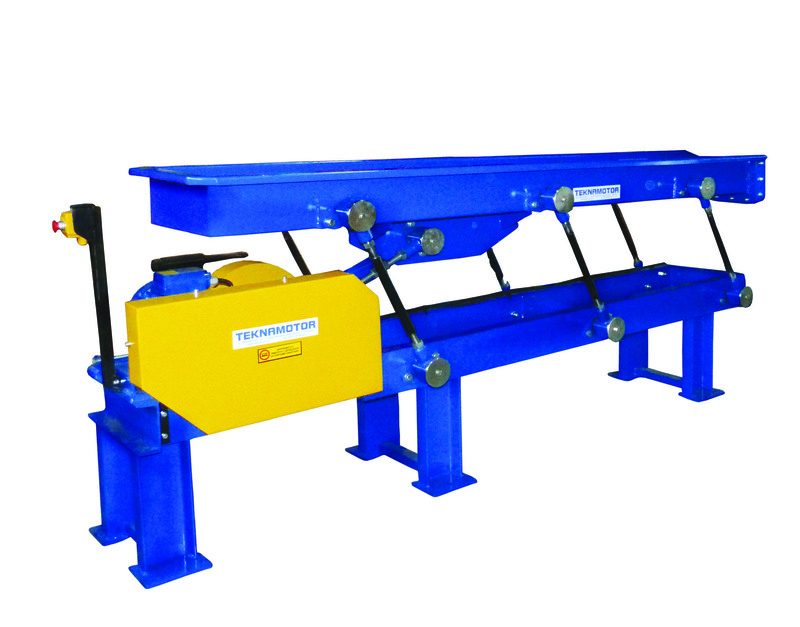 A vibrating conveyor is a perfect solution for feeding short-sized waste of various geometric shapes such as wooden cubes or short edgings. 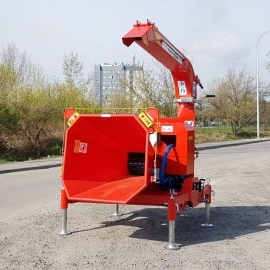 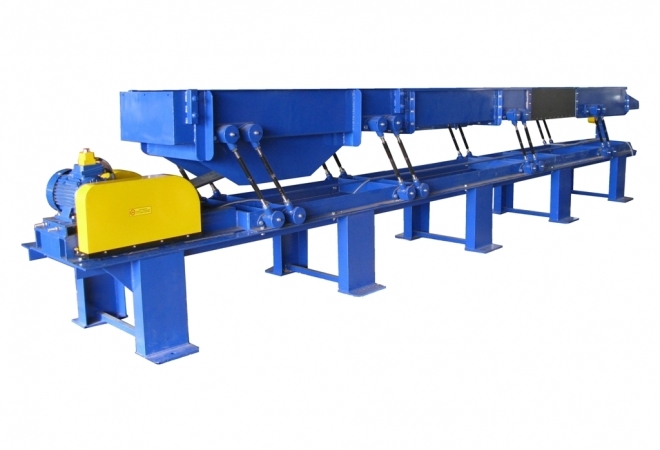 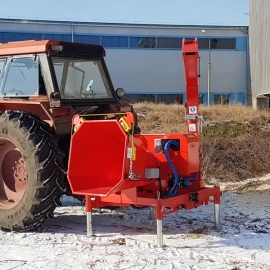 The conveyor consists of a chute connected to a load-bearing frame with spring elements, and is driven by an electric motor through the eccentric system. 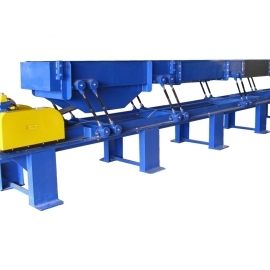 Low power consumption of the eccentric system results from the resonance principle of work of the conveyor. 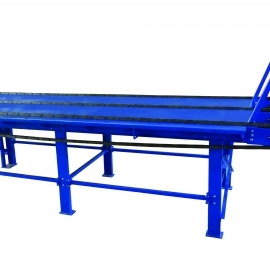 Depending on local conditions, the conveyor rests on a support frame set on a foundation. 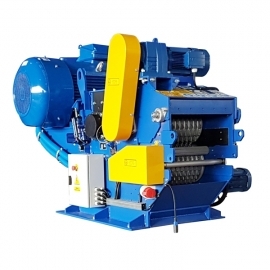 The advantage of using the vibrating conveyor is spreading the material evenly in the chute, and consequently its smooth feeding to the machine as well as extending the machine life. 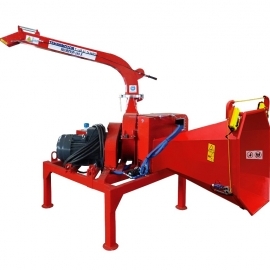 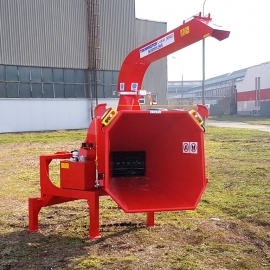 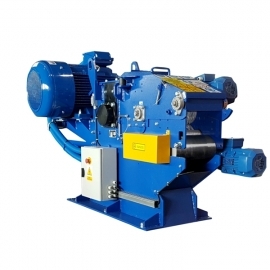 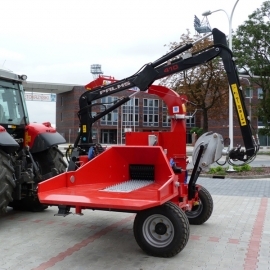 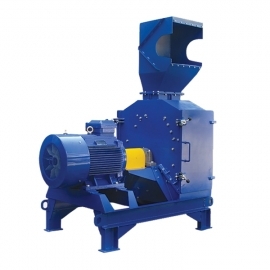 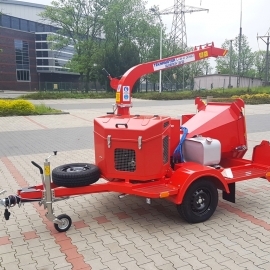 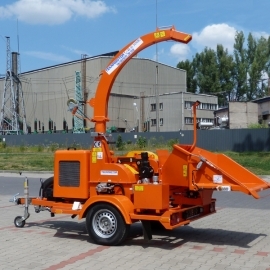 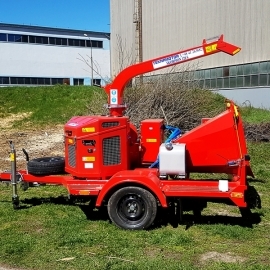 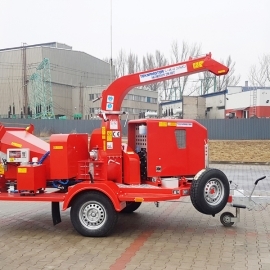 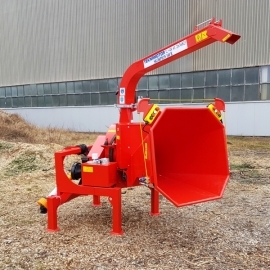 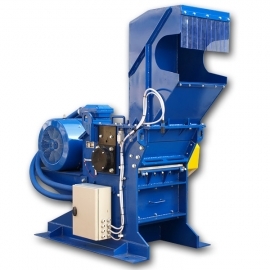 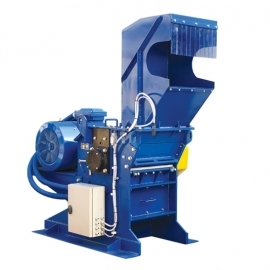 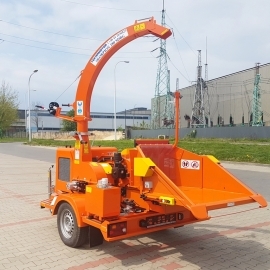 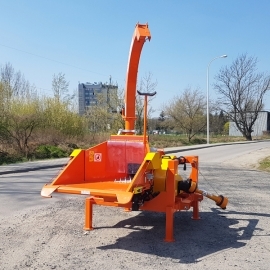 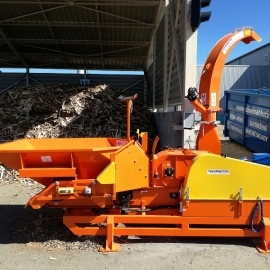 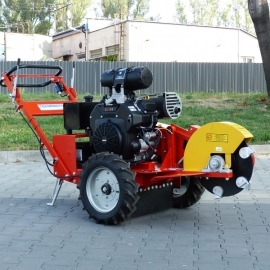 Evenly spread of the material along with its smooth feeding ensure maximum productivity of the chipper. 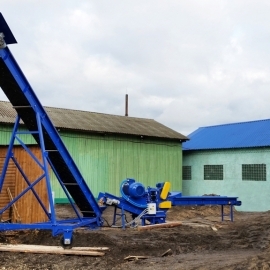 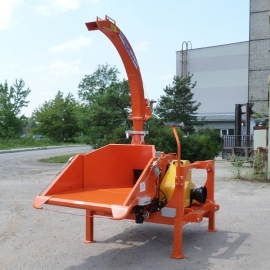 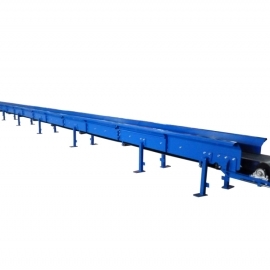 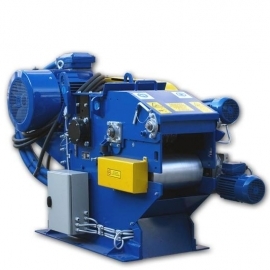 The so-far made vibrating conveyors have the width of 220 - 650 mm and length 3-13 m.